Data published by the Institute of Advanced Motorists (IAM) has highlighted the considerable number of journeys that are affected by professional drivers causing delays on roads up and down the country due to enforced tachograph breaks. The issue of excessive driver hours is a difficult one to balance against the potential hazard that stopping at inappropriate places can produce, with a freedom of information request from the IAM to Highways England showing a total of almost 1,700 road closures as a result of tachograph breaks and vehicles blocking traffic were seen during the last full year. Overall, the data highlighted tachograph breaks by professional road users as among the top 25 reasons for lane closures and congestion on the nation's roads in 2014. As a result, the IAM is calling for all businesses to invest in planning routes in advance of travel for their drivers to ensure they have access to adequate and appropriate rest areas when completing deliveries. 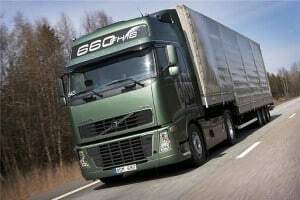 In addition, firms should avoid sending vehicles on routes that are already prone to congestion and delays, as this will both limit the likelihood of drivers being forced to stop at inappropriate locations and also serve to save funds for firms through more efficient delivery planning.